At the end of my workday I just want to blitz. If I am not going out. I go home, get undressed, put on a muu muu, and stretch out on the couch. Don’t bother me, don’t ask me to make decisions, just let me go into a semi-conscious state. Most of the time I like to watch TV. If I fall asleep, all the better. I have my list of TV shows that I enjoy. My DVR allows me, to be me, and not miss a thing. I used to love watching American Idol but no more. It just took up so much of my time. I thought I was rid of AI till I learned about a new its new app for iOS and Android. The free app allows you to access show content, past highlights, contestant performances and behind-the-scenes footage. We will now be able to follow real-time conversations and interact with other fans on Facebook and Twitter. 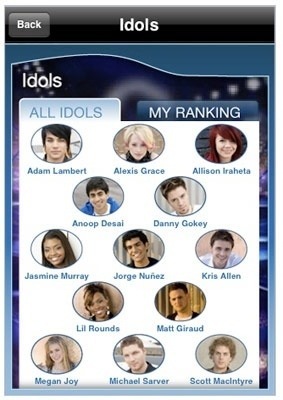 We will also be able to vote for our favorite contestants via the AT&T American Idol voting platform on the app. Don’t let me get started again. I need to focus on the Kardashians. What a life!